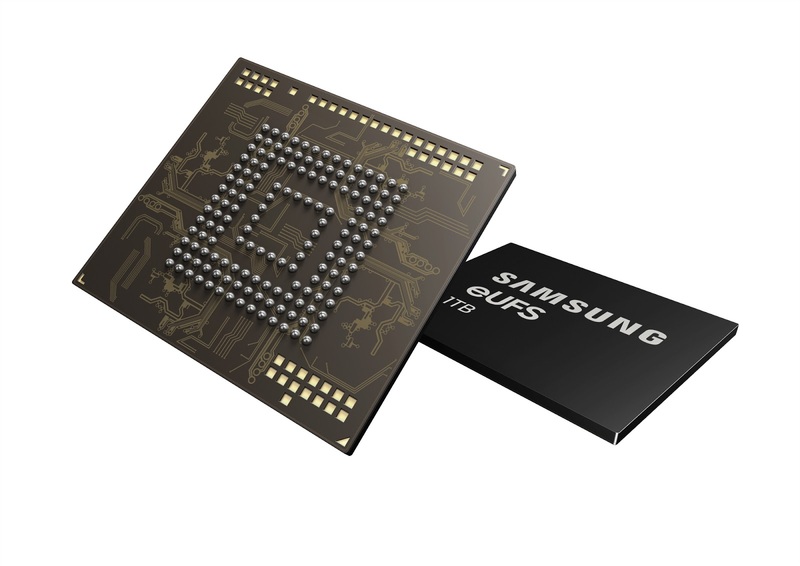 Samsung, late January, announced that it kicked off mass production of a storage chip that'll let smartphones store up to one terabyte of data, a feature only common in high-end laptops and desktops as of current. This comes four years after the Korean company introduced a 128-gigabyte (GB) storage solution, then a record in the smartphone world. A one-terabyte (TB) embedded Universal Flash Storage (eUFS) would allow smartphone users enjoy storage capability comparable to premium notebook PCs, without having to take to additional memory cards. Samsung's mass production could hint at the storage chip being embedded in an upcoming phone like the Galaxy S10 and more. 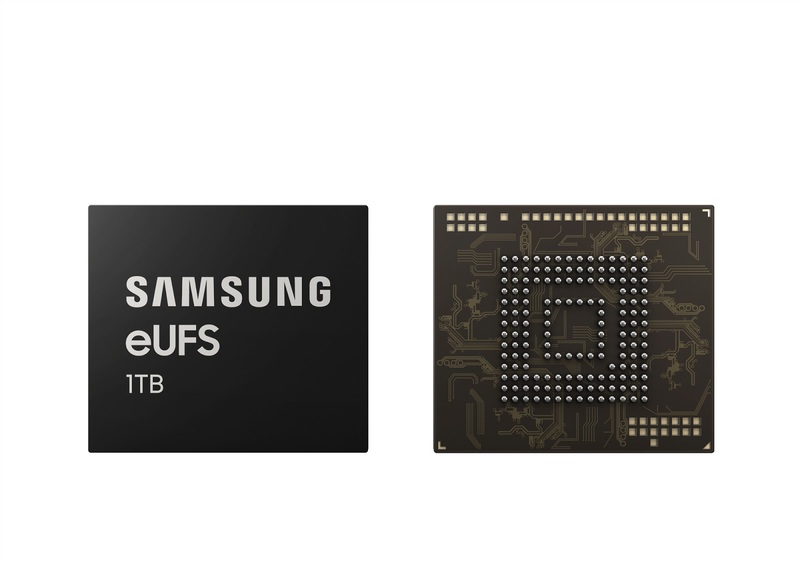 According to Samsung, the 1TB storage chip doubles the capacity of a previous 512GB version by combining 16 stacked layers of its most advanced 512-gigabit (GB) V-NAND flash memory and a newly made proprietary controller. That means, smartphone users will be able to store 260 10-minute videos in 4K UHD (3840×2160) format, compared with 13 videos of the same size for the 64GB eUFS currently used in many high-end smartphones. Samsung also says the 1TB storage allows for superfast data transfer at up to 1,000 megabytes per second - 10 times the speed of a typical microSD card - and also camera shooting at at 960 frames per second. The company hasn't given word on when this would be getting to consumers, but says it plans to expand production of its current 512Gb storage chip throughout the first half of this year, before fully addressing "anticipated strong demand" for the 1TB chip from mobile device manufacturers.